John Morrison emerged from 5 Star Wrestling’s debut show on FreeSports as still the 5 Star Champion but Zack Gibson came out as the name on everyone’s lips. ‘Liverpool’s Number 1’ did exactly what he promised he’d do in his home city venue LIVE on British television. He made a statement. The three-hour TV event at Liverpool Echo Arena went off the air with Morrison and his challenger Rob Van Dam lying in the ring as the controversial Scouser grabbed the new 5 Star Championship and told the viewing audience that “consequences” are on the horizon should he be overlooked for the main event again. Gibson had just flattened the two Americans with the belt after appearing as guest commentator for their co-main event title match. This came after Morrison beat RVD in a lengthy encounter with a small package to record his sixth successful defence of the belt he won in 2016. During the match a disgusted Gibson told commentators Greg Lambert and Joe Hendry that he was furious the two ‘Yanks’ were in the prime bout on the debut of the first ever live weekly British wrestling TV series. The Liverpudlian was also angry that ‘The All-American American’ Jake Hager, who earlier defeated Eddie Ryan, was being lined up as the next challenger and not him or another home grown talent. Earlier in the evening, the self-styled ‘spokesman for British wrestling’ delivered a series of withering speeches – one backstage to his opponent Rey Mysterio – and one to the live crowd while on his way to the ring. Gibson let rip at Mysterio, 5 Star Wrestling management, and all the big-name Americans who he felt were only in Britain for a payday and were stopping the Brits from taking the spotlight. Booed by a large proportion of his home city fans, Zack then battled the Master of the 619 in a gripping back-and-forth bout. But seemingly on the verge of a pinfall defeat to the hugely popular Rey, Gibson got disqualified when he booted the masked legend in the groin. NOTE – After the TV show ended, Rey Mysterio saved Morrison and RVD from a triple-team by Gibson, Adam ‘Flex’ Maxted and Charlie Sterling. Here are just five of the memorable moments from 5 Star Wrestling’s debut show LIVE on FreeSports at the Echo Arena. Talk about starting a historic show off hot. The five participants in the 5 Star Submission Elimination Match put their bodies on the line trying to become the first ever 5 Star Wrestling: Tap or Snap Champion but in the end, Mark Haskins stood tall. But the performance of unknown quantity Joey Axl from Australia definitely turned heads, as he used his Ayers Rock Lock submission to eliminate Flash Morgan Webster, ‘The Professional’ Nathan Cruz and BT Gunn before himself tapping to Haskins’ Snap Trap armbar. The duo of ‘The Phoenix’ Jody Fleisch and El Ligero promised to be a UK high-flying dream team and it was definitely the case as the daredevils survived a punishing onslaught from Dave Mastiff and Big Grizzly to deliver in spectacular fashion. Fleisch and Ligero will now go on to meet Max Money – Adam ‘Flex’ Maxted and Charlie Sterling – in the tag team tournament final after the UK upstarts upset the veterans Carlito and Chris Masters in the other semi-final. Kid Fite and Lou King Sharp were up to their usual shenanigans backstage when they turned up furious they hadn’t been given a match on the show and demanded to see 5 Star Wrestling management. The wee firecracker Sharp’s attempt to open the office door – by delivering a drop kick – led to a hilarious fall for the tiny Scotsman. Sharp’s painful landing on the corridor concrete became funnier when Fite and Lou’s associate Krieger turned up and managed to get the door open after all, simply by knocking! ‘The All-American American’ Jake Hager may have got the win through dubious means but his opponent Eddie Ryan came out of the match covered in glory. When ‘The English Lion’ came out for his grudge bout with Hager many of the Liverpool Echo Arena fans hadn’t heard of him before. But after Ryan survived everything the dismissive former World Champion could throw at him, including his trademark anklelock and gut wrench power bomb, then almost managed to beat the Oklahoman himself before Hager had to use the ropes to win, the entire arena was firmly behind the proud man from Plymouth. Although Liverpool’s Number 1 came out with some choice words for 5 Star Wrestling management not to be repeated here, his speech on the way to the ring last night will surely make headlines around the world. And his withering words about preferential treatment for the big overseas superstars in 5 Star Wrestling may well strike a chord with many British fans, although much of Gibson’s tirade was skewed by self-interested bitterness. 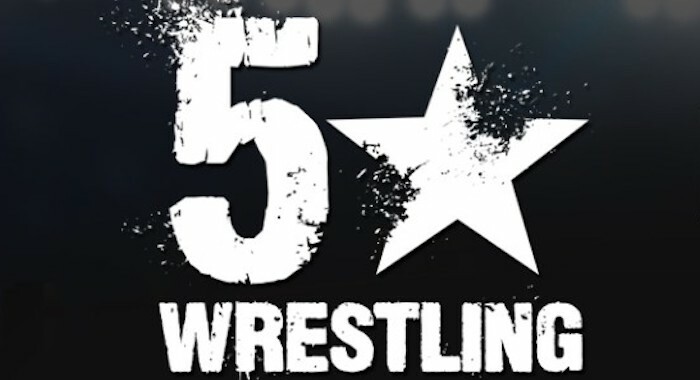 Watch again when 5 Star Wrestling: LIVE on FreeSports is repeated this week. Or go to our Facebook page facebook.com/5StarWrestling to see it all again INCLUDING the two pre-FreeSports matches PJ Black vs Timm Wylie and Jack Jester vs Primate.